Time flies when you’re having fun. 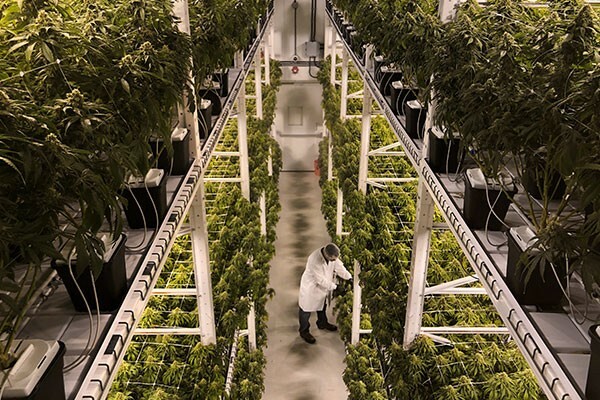 It’s already been six months since recreational cannabis was legalized and Organigram has learned a lot, says Ray Gracewood, Organigram’s chief commercial officer. The federal government’s final regulations on edible cannabis products are expected to come into effect on October 17, 2019. By then, if products are available, Canadians will be able to legally buy prepared cannabis-infused edibles and pre-filled vaporizer pens. Organigram has been preparing for this next stage of legalization for some time. Gracewood shares some of the company’s plans for the adult recreational edibles and concentrates market. Organigram recently partnered with Canada’s Smartest Kitchen, a company on Prince Edward Island that’s helping it develop edibles. “We’ve been working closely with them on recipe creation and understanding what is world class within the world of chocolate,” Gracewood says. When it comes to cannabis-infused products and concentrates, Organigram is focusing on the whole consumption experience. Through technological innovations, the company also wants to replicate the quick effect that comes with consuming cannabis through combustion - like smoking a pre-roll - in edibles. Pre-filled vape pens are another product Organigram is planning to produce. Vape pens have been a “game changer” in various states in the U.S. where recreational cannabis is legal, and Organigram sees the same potential north of the border. “We think a combination of vape pens and chocolate-based products will play a very important part within our portfolio strategy,” Gracewood says. Having a diverse portfolio of high-quality products is important to fight the illegal market, he says. “One of our biggest challenges is that we need to eliminate the illicit market and in order for us to do that, we need to offer a competitive product portfolio to what’s available in the illicit market. A big part of that is concentrate products, and edibles and vape pens,” he says. As the legalization marathon continues, education continues to be a focus for Organigram. Many consumers are still confused about the market, products and players. It may be holding some back from engaging within the legal market, Gracewood says. “I think people are still very confused and I think there’s still a lot of misinformation out there,” he says. Six months in, people still have a lot of questions about recreational cannabis. They’re wondering how to tell if a product has been tested, where to buy legal products, and what kind of products are available. The easiest way to know if a product is legal is through the place you’ve bought it. Legal products are sold through government-licensed retailers, which can be privately or publicly-run. Their stores can be bricks and mortar or online. 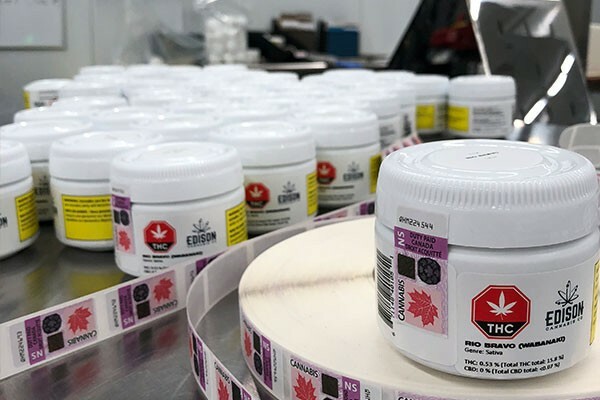 “It’s important to know that all legal channels can only ship their product within a province, so be wary of any online sellers who offer shipping across the country for recreational products,” Gracewood warns. Legal products also come pre-packaged and include a provincial excise stamp. And they all come from a licensed producer like Organigram and others. The full list of licensed producers is available on the Health Canada website. In addition, consumers are asking questions about dosage, and how to know if they’ve consumed too much. “[They ask] ‘if I buy a half a gram pre-roll from the store, do I consume that entire unit, do I take two draws off of it, what’s the right amount for me?’ It’s the combination of educational services as well as the mantra of ‘start low and go slow’ to understand where the level of comfort is when you consume,” he added. One of the things consumers are also concerned about is the environmental impact of the packaging of recreational cannabis. “We feel that this is a huge issue facing our industry right now. Although we work within a very specific framework for packaging, we’ll continue to work with our regulators to explore innovations to reduce our environmental footprint and reduce the amount of packaging that’s required,” Gracewood says. “It’s obvious that we have very little interest in expensive, bulky, creatively constrained packaging that is destined to be kept behind a retail counter,” he adds. But as the company moves ahead with developing new products, it’s also important to make sure the packaging is safe and the high quality of the product inside is maintained. “Child-resistant closures, tight labeling standards and tamper-proof seals are critical, but we’ll continue to explore other options that will minimize our environmental footprint,” he says. If you have questions, cannabis retailers are a good source of information, Gracewood says. Organigram is actively engaged in education programs with its retail partners across Canada. “I think retailers have done a great job in educating their staff and they’ve developed themselves as a great resource for education,” he said. “We definitely encourage consumers to engage with staff at the retail locations.” Consumers can also find answers through online resources made available by governments at the federal and provincial level. Since public consumption and retail rules differ from one province to another, Gracewood says it’s best to check your provincial government’s website for specific regulations. Making the correct information available and accessible is very important for Organigram. That’s why the company supports various educational projects across Canada, including programs for post-secondary students through Mount Allison University in Sackville, New Brunswick. It’s also involved in industry groups like the Canadian Cannabis Council to help educate the public on the value of tested, regulated product. “We take public safety and product-testing very seriously, and it’s important for Canadians to understand the added benefit and comfort that comes from tested, regulated product,” Gracewood says. 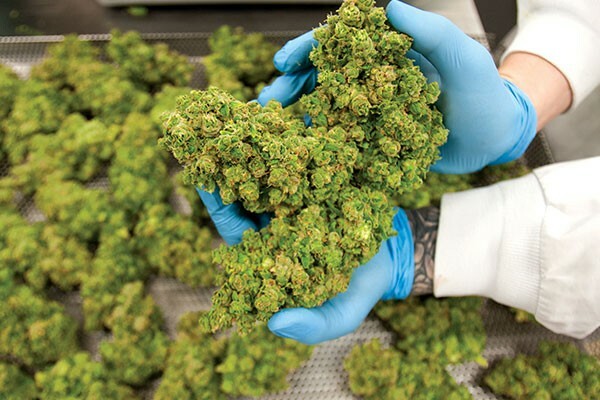 “As we move into the future, we want to ensure products are safe and people are well-informed to make the best decisions about cannabis.” This content has been developed and paid for by OrganiGram, without involvement from The Coast’s editorial department. Click here to learn more about OrganiGram.